Day Trip, $50 per adult and $25 per child. 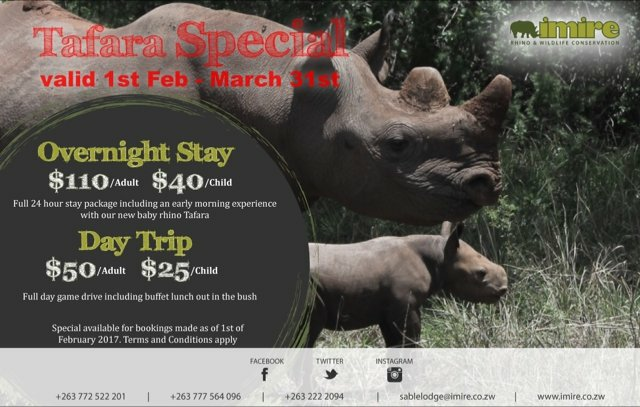 Full day game drive including buffet lunch out in the bush. Bookings made as of 1st of February 2017.